I’ve never really been a big fan of New Years resolutions. I feel like if you want to make real changes in your life, do it any day of the year. That being said, I think goals are a great thing to make at the start of a new year, especially when it involves books! I have been working towards a college degree for what seems like 10 years. In recent years, I transferred to an online school to better accommodate work and life in general and made the switch to a Bachelor’s program. I also changed my major a few times and settled on Marketing. I have a couple weeks left of my current class and have schedule my final class. After that, I’ll have about 8 credit hours of electives that I’m able to test out of. The idea of finally being done is equal parts excitement and also nausea. College has been a sort of bubble for me and soon I’ll have applications and interviews and probable relocation and it’s all very scary. It sure will be nice to be done though. Since it’s an online school, the graduation ceremony is in Colorado. Stephen already said we can go since I’ve worked so hard for this, so I suppose that’s another goal! I try and write a review on here after each book I read but that doesn’t always work out. So at times I’ll go long periods of time without a new post. I know you’re all heartbroken by that haha. But I want to start blogging more this year. Instead of just posts with reviews of the books I’ve read, I want to use this to just talk about books. What I’m reading. What I want to read soon. Books I’m excited about. And maybe other things? Music is a big part of my life as well. I never intended this blog to be a personal type blog because lets be honest, I’m not that important haha. But I know we all have passions and I think I could use those to connect with others with the same passions. I work at a bookstore so I’m constantly finding books to add to our library. Plus, we pick up books all the time. I will find books I’m excited about and they get added to the shelf and I either forget we got them or I just get distracted with other books. My goal this year, is at least once a month to read a book we already own. I tend to do a lot of library books and of course, books authors send me. I’m able to read more than one book at a time, so I shouldn’t have too much of a problem with sticking to this one. This one kind of goes with my graduation goal. With graduation comes the daunting task of job searches. My dad used to always tell me growing up, “Pick something you love to do and find a way to get paid to do it”. When I was younger, I thought for sure that meant I was going to be a professional basketball player. Obviously with my 5’3” height, that wasn’t going to pan out. 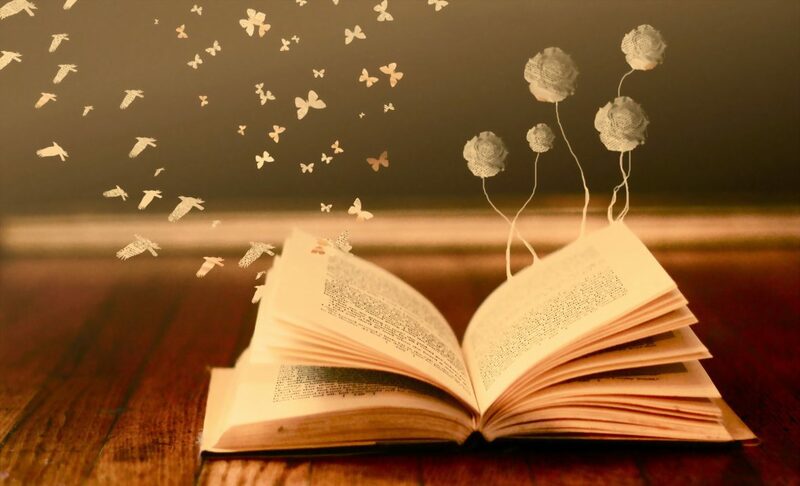 I’ve looked back on my life and the one thing that always stayed with me were books. I’m not a writer and I have helped edit a friends books but not to the point that I could do it professionally. With my change of major, I figured Marketing would be the best way to make a career out of my love of books. Part of the reason I started this blog was to get my foot in the door making connections with authors and/or publishers. That, with my degree and knowledge of the book world with my current job, will hopefully help with my future. Four goals for the entire year may not seem like much, but I think they’re all pretty big. I think 2019 is going to be a pretty major year for me and I look forward to sharing it with you all! I DO have 2019 goals. Those goals may or may not be posted on my blog on Monday. Just saying. I really like your goals, particularly #2, as I’m always a fan of when bloggers I read write more. Yes, I recognize that’s a selfish reason for liking the goal, but it’s a great goal. I saw you have a post coming, looking forward to that! I mean, it’s not that exciting of a list. Mine that is. That said, if you’re into people finishing long overdue writing projects or desperately looking for editing freelance work, you’ve come to the right place.